152 pages | 11 B/W Illus. The theatre of Richard Maxwell and the New York City Players has received significant international recognition over the past ten years. The company has received three OBIEs, for House (1999), Drummer Wanted (2002) and Good Samaritans (2005). Maxwell received a Guggenheim Fellowship in 2010 and has been commissioned by venues in the United States, the United Kingdom, Germany, Austria, the Netherlands, France, Belgium and Ireland. Although his productions generate a plethora of reviews, there is a deficit of material providing a critical and sustained engagement with his work. The aim of this book is to provide a critical survey of Maxwell’s work since 1992, including his early participation in Cook County Theater Department. 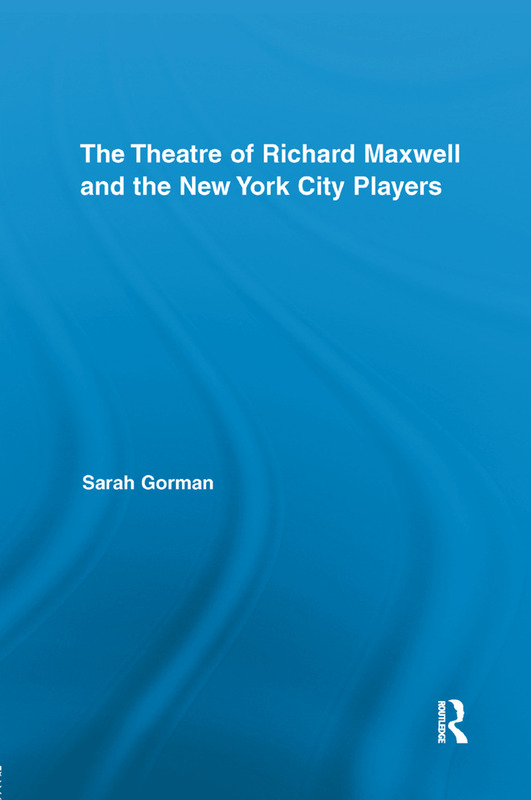 Touching upon the acting, production and rehearsal processes of NYC Player’s work, and Maxwell's representations of space, community, race, and gender, this volume provides scholars with an important overview of a key figure in contemporary drama. Sarah Gorman is Principal Lecturer in Drama, Theatre & Performance Studies at Roehampton University, London. Her research focuses on contemporary European and North American experimental theatre. She has recently contributed to Making Contemporary Theatre: International Rehearsal Processes and A Concise Companion to British and Irish Drama.